Lomi Lomi is an indigenous Hawaiian healing practice which usually includes massage – but not always. Many believe that this art was brought to Hawaii by the earliest Polynesian settlers while others believe that this beautiful art, so deeply infused with the practice of ‘living aloha’ is a carry-over from ancient Hawaii and the mystical land of Mu. Lomi Lomi encompasses many different ‘styles’ each unique to their geographical location and/or their family of origin. Lomi Lomi was practiced by the native healers (Kahuna lā’au lapa’au) and was used as a restorative health practice within families. To learn more about the history and practice of lomi lomi, we recommend signing up for our mailing list so you can be the first to learn about our soon to be published book The Spirit of Lomi Lomi. There are primarily two styles of Lomi Lomi that have become more well known on the mainland US and in Hawaii. They are “Temple Style” and “Auntie Margaret’s Style or Big Island Massage”. Sacred Lomi® was developed by Tom Cochran and Donna Jason from ‘Temple Style’ Lomi Lomi. 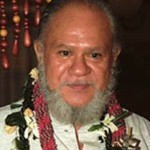 ʻTemple Styleʻ lomi lomi, also known as Kahuna Bodywork, was shared with the public by Kahuna Abraham Kawaii (Kahu) before his passing in 2004. His teachings synthesized knowledge that he received throughout his incredible life, where he was the disciple of numerous native healers and Kahuna. We are deeply blessed that Kahu had the heart and vision to share his knowledge and we know deep in our hearts that the world is a better place for it. Auntie Margaret Machado was a world renowned lomi lomi master and Kahuna who infused love and aloha into all who studied with her. Although her style of lomi lomi differs from Temple Style in form, all styles of lomi lomi are deeply rooted in love, aloha and prayer. 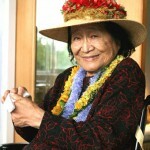 Auntie Margaret’s teachings continue to bless the entire lomi lomi community. All styles of lomi lomi integrate some form of movement, chant (mele), prayers (pule) as well as the core intention of aloha. Temple Style lomi lomi uses primarily forearm runs integrating movements that are circles and figure eights. The movements are designed to confuse the thinking mind and invite the client to surrender, letting go of anything that is no longer serving them and to receive more of their soul energy. In ancient Hawaii, Lomi lomi was practiced as both medicinal and restorative. Some believe that Temple Style lomi lomi is was practiced in the temples of old Hawaii, where Kahuna, or Hawaiian Shaman, practiced a unique lineage that Kahu named Ke Ala Hoku, “Pathway to the Stars” or Hawaiian Temple Bodywork or Kahuna Bodywork. The legend that was passed down describes a ritual incorporating fire, drumming, chanting, and shamanic movement. The Kahuna would call on the wisdom of their ancestry and request a vision so they would know who was next to receive this sacred rite of passage. Sacred Lomi® is rooted in the practice of Temple Style lomi lomi but also incorporates many principle and practices that support modern day practitioners in their quest to heal themselves and others. All of the movements of Sacred Lomi are based on circles and figure eights with the point of connection being primarily forearm runs. The practitioner is taught to listen with their entire being to the script of the body they are working on and to surrender to the guidance of divinity, allowing grace to transmute all stuck energies to pure light and love.